President Donald Trump indicated that he had further work to do in order to purge the FBI and the Justice Department of politically biased officials on Friday. The president made his remarks during a political rally with supporters in Missouri. Trump added that most of the FBI agents agreed with him and his agenda, but that some at the top were bad actors. Trump commented on his ongoing efforts as the New York Times reported that Deputy Attorney General Rod Rosenstein suggested his secretary record Donald Trump in the White House. The report also noted that Rosenstein discussed recruiting cabinet members to remove Trump from office by invoking the 25th Amendment. The president did not mention Rosenstein during his remarks on Friday. 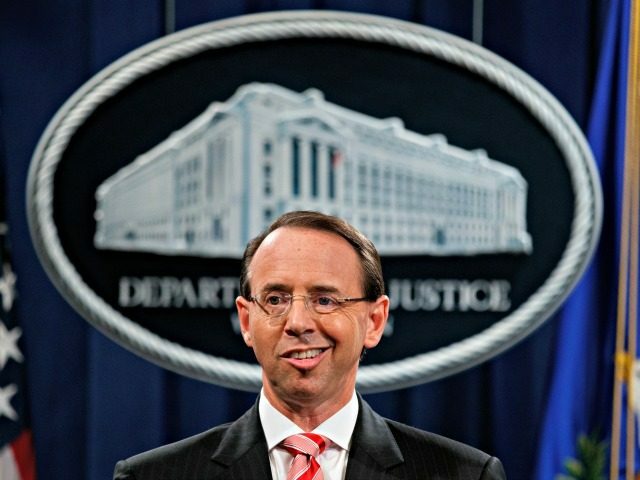 Rosenstein denied the accusations in a statement released on Friday night. “I never pursued or authorized recording the President and any suggestion that I have ever advocated for the removal of the President is absolutely false,“ he said in a statement to reporters.